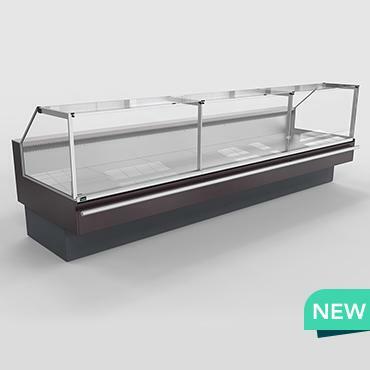 The new serve over counter Vega QB with modern and functional design looks great for both large and small area shops. Low-e glass protects against fogging. Improved product technology with built-in evaporator and fan in the back of the counter makes it easy to take care of, to clean and tidy it. This compact serve over counter is great for presenting milk, cheese, fish, meat, precooked and bakery products. Vega QB has reduced evaporator, which results in lower energy consumption. Plug in and remote, may also be connected to Hydroloop system.